Turnbill (Homepage) wrote: Spectacular setting and photo! Where is this? Reminds me of Wyoming. Marcie (Homepage) wrote: Love the contrasting warmth of the rocks against the cool grey skies. Wonderful light in this. Frida (Homepage) wrote: Really nice framing and great light. What a beautiful place to have a house. 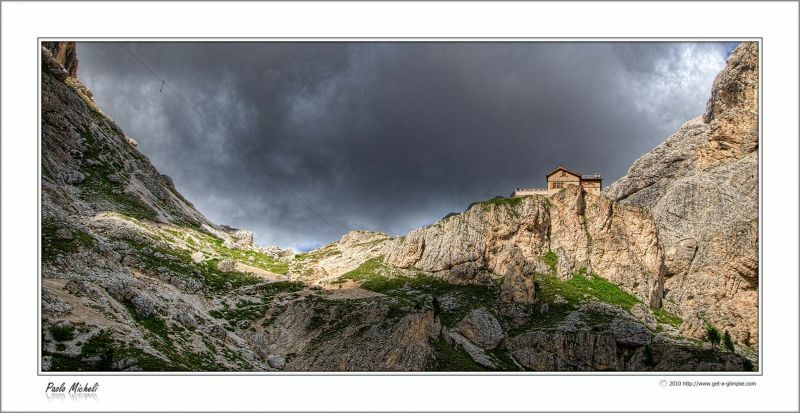 Andres (Homepage) wrote: Very well framed with the rocky landscape.